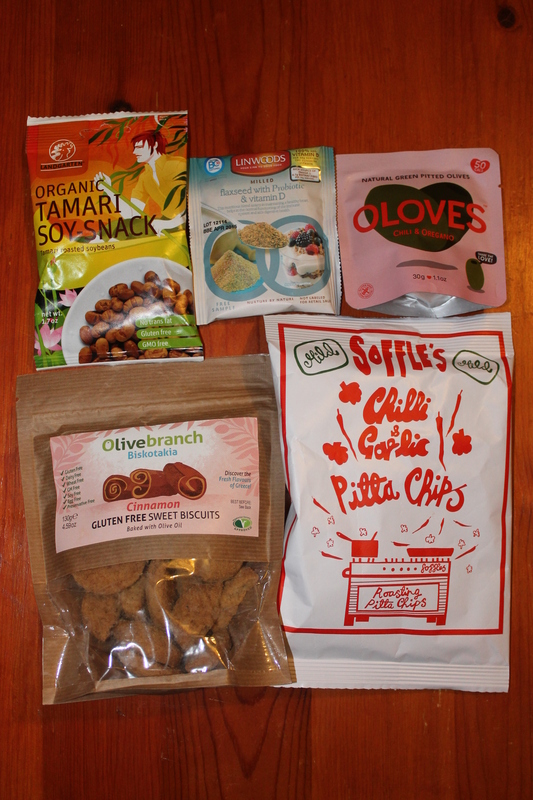 A brand new Flavourly box has arrived! – Tasting the World – On the road, with stuffed hand luggage and face. Camera in my hand. 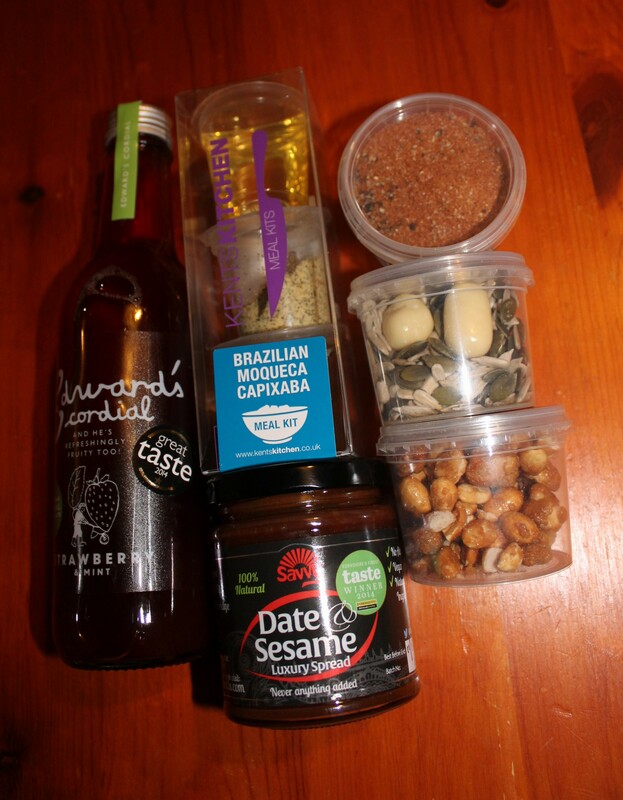 A brand new Flavourly box has arrived! Since they sent the last Flavourly box a bit earlier for everyone to get it before Christmas, it was looong time waiting for this one! Finally I brought it from the post office on Monday. What did it contain this time? strawberry and mint cordial by Edward´s cordial. I like drinking water mixed with syrups and there always has to be a bottle of some next to the sink. After I finish the current one, I will try this one. On the bottle it says that it contains 43% of pressed strawberry juice, so I have high hopes! Brazilian Moqueca Capixaba spice mix by Kents Kitchen. Well, I have never heard “Moqueca Capixaba” and I had no idea what it was (sounds like a spell), but on the box it says “brazilian fish and tomato stew”. That´s what I like about spice boxes by Kents Kitchen – they not only give you some of the the ingredients, but also a detailed recipe. date and sesame luxury spread by Savvy Spreads. Looks promising. Once I bake some bread which is not chilli/savoury spiced, I´ll give it a try. Texas ranch dust – spice mix by Caos Stuffings. Barbecue season is coming soon! And before there´s always some meat to spice up. Honey nut mix and Superfood bomber by flavourly. It´s time to buy some plain white or Greek style yoghurts! I like these small seeds/nuts mixes because they are exactly enough just to mix them into one yoghurt. Ideal office breakfast. organic tamari soy-snack by Landgarten. Not sure if it´s gonna be salty or sweet or what… (wait a sec) …OK, it´s salty. And really good! flaxseed with Probiotic and vitamin D by Linwoods. Another add-into-your-yoghurt stuff. I already had a similar pack before and for me it´s best mixed with some fruit as well, not only yoghurt. chilli and oregano flavoured olives by Oloves. I had them before and I know they´re good! cinnamon flavoured gluten free sweet biscuits by Olive Branch. I like cinnamon! They say it´s biskotakia, a traditional Greek style sweet biscuit. Nice, trying something new again. chilli and garlic pitta chips by Soffle´s pitta chips. Does it need anything else to say? Also I got £10 discount for these Flavourly boxes/Flavourly craft beer club, so if anybody is interested, let me know. That´s it! I must say I like pretty much all of these items. Now what´s gonna be in the next one… ? What a cool idea this box is! Fantastic. It is… Especially I like the fact that I get something not always available in big shops.